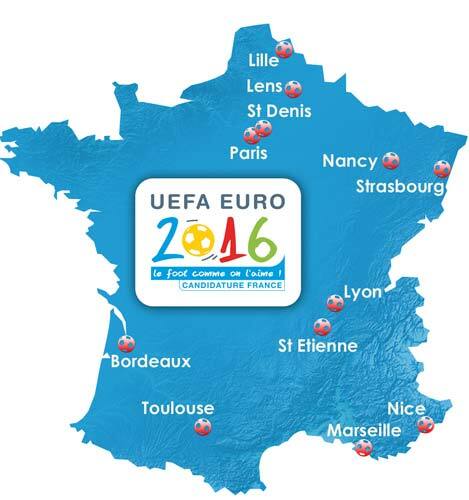 France will host football European championships in 2016, decided in Geneva the Executive Committee of Union of European Football Associations (UEFA). It will be the third tournament organized on the Seine – previously the Old Continent championships were held there in 1960 (triumph of USSR) and in 1984 (host’s victory). In the second round of the Executive Committee voting the French received one voice more than Turkey and won 7:6. The third candidate – Italy dropped out at the first round of voting. 13 representatives participated in voting. The UEFA President Michel Platini (France), vice-president Senes Erzik (Turkey) and Giancarlo Abete (Italy) were not entitled to take part in voting. The proceedings were chaired by Geoffrey Thompson from England. Just before the final selection France was told to be the most serious contest favorite. Turkey was given only a little chance. Following the wave of critical opinions, that struck the country after the last visit of UEFA representatives, only a few bet on Italy. After the controversial decision made some years ago, to appoint Poland and Ukraine as Euro 2012 co-hosting countries, having in mind financial problems and delays that appeared especially at the Ukrainian part, UEFA members did not want to take another risky decision. In consequence they backed the candidate that was „dead cert” and experienced in organizing big events – France. Despite financial guarantees given by the Turkish government amounting to over 20 billion EUR for construction and renovation of stadiums, transport and road infrastructure (on sports objects slightly over 1 billion EUR should be spent), the UEFA couldn’t be persuaded. Not without importance was probably also the fact, that Michael Platini from France is the head of Union of European Football Associations. During the last presentation of candidates he was sitting next to the French President Nicolas Sarkozy. said Sarkozy in his speech delivered to the Executive Committee members. Jean Pierre Escalettes, the President of French Football Association, did not conceal his satisfaction and assured that nobody would regret that decision. For the first time 24 teams will attend the European championships and 51 matches will be played during the tournament. The final match will take place in Paris, in Stade de France. The matches will be played in 12 stadiums. For more information about these matches you can look at sports betting sites. New objects will be erected in Bordeaux, Lille, Lyon and Nice. Stadiums in Marseilles and Strasbourg will be renovated and some changes will be carried out in Lens, Nancy, St. Etienne, Toulouse and Paris stadiums. 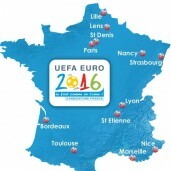 Euro 2012 UEFA stopped debating about the possible changes of organizers.